Most of the time that stuff gets delivered at home, it stresses my Mom because she tends to be OC about cleanliness and it bothers her when I have so many packages lying around waiting to be posted or photographed. Sometimes though, something gets delivered and I see a piece of it left when I come home because they already enjoyed it which makes me utterly happy. 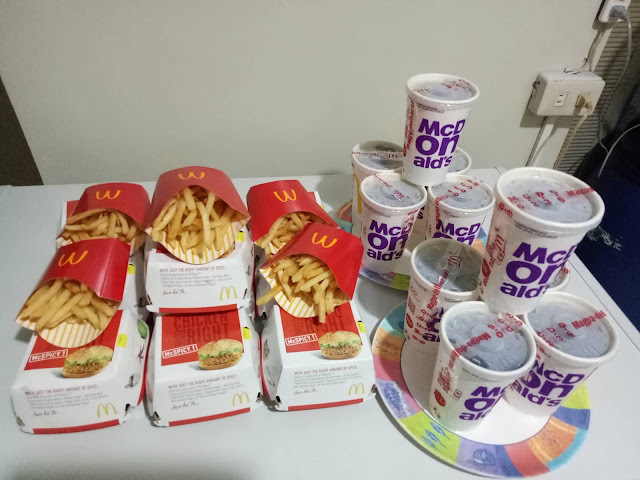 This was the case today when McDonald's sent over not 1, not 2, not 3 but 10 ... yes TEN McDonald's McSpicy Chicken. I was out of coverage area the whole day because I was in the hospital and when I got out late in the afternoon, messages from my Mom started coming in. This was what I saw. 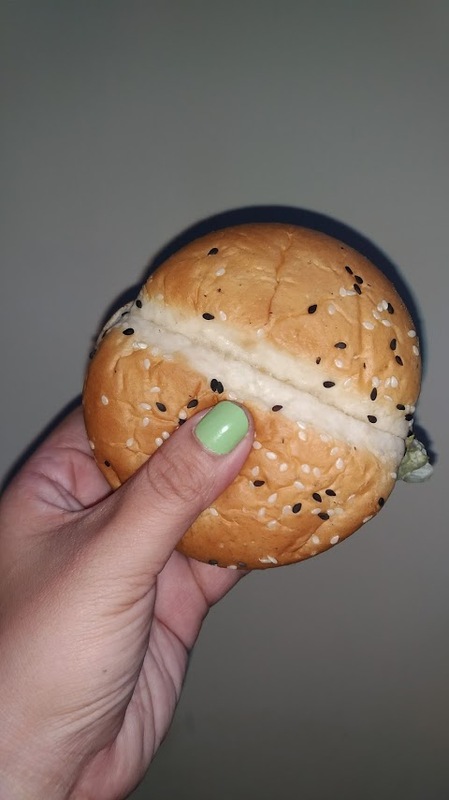 They were so excited to eat it that they decided to take a photo for me to post. Hahahaha. I love my family and how much of a foodie they are. This may be something small for others but one thing I really am thankful about what I do for a living are these things. I came home and saw that they left something for me. This was such a happy moment because I was so hungry. I loved that it was a little spicy and there was just the right amount of flavor from choice spices. 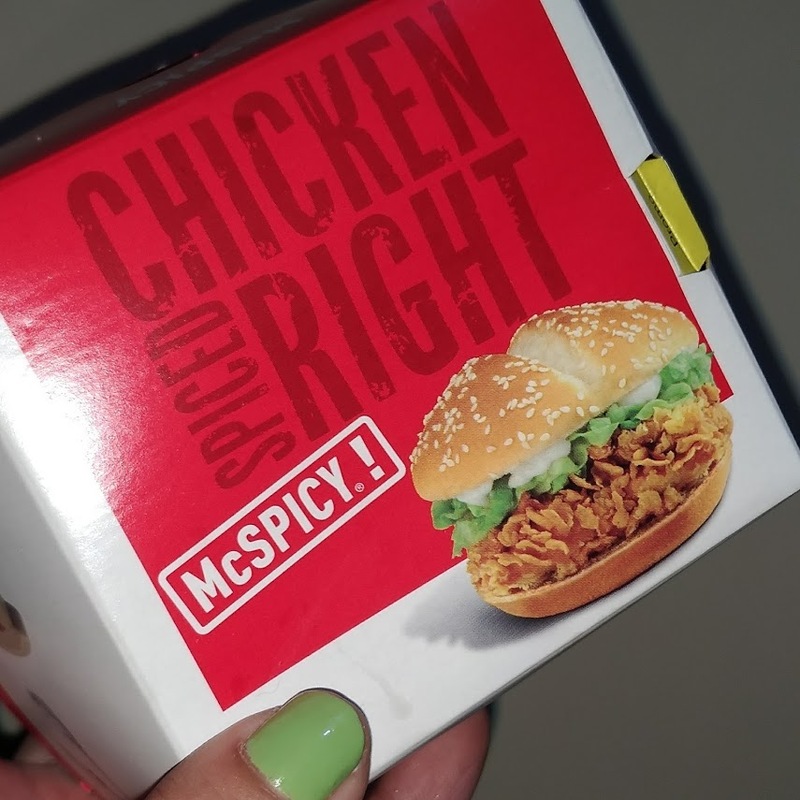 The McDonald's McSpicy Chicken is not for kids though because it can burn a little bit but for people who like a small kick, this is perfect.